Sportsmaster products contain compound granular fertilisers. They are manufactured as mini-granules, providing ease of application and an even distribution. This ensures even growth, quality and colour over the whole lawn and prevents unsightly speckling effects. 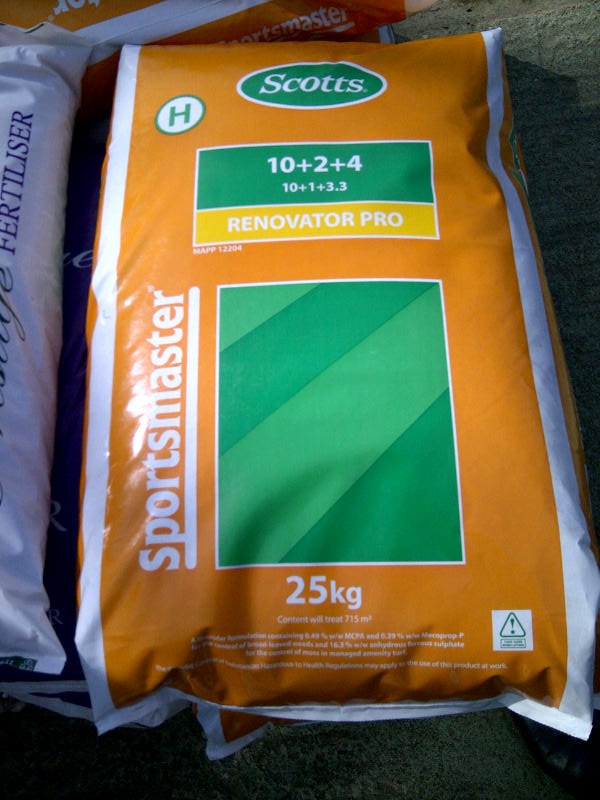 Sportsmaster Renovator Pro is ideal for use on lawns during the spring when both broad leaved weeds and moss are present and need controlling in a single application. Can be used from either a drop or rotary broadcast spreader. Containing a selective herbicide for both routine and heavy weed control, Sportsmaster Renovator Pro will give effective control of many weed species and with 6% FE (iron) content will also kill moss. Granules will disperse within 4/5 days and turf response can be anticipated within 7 days. Longevity of up to six weeks may be expected, but this will depend upon environmental factors and application rate.